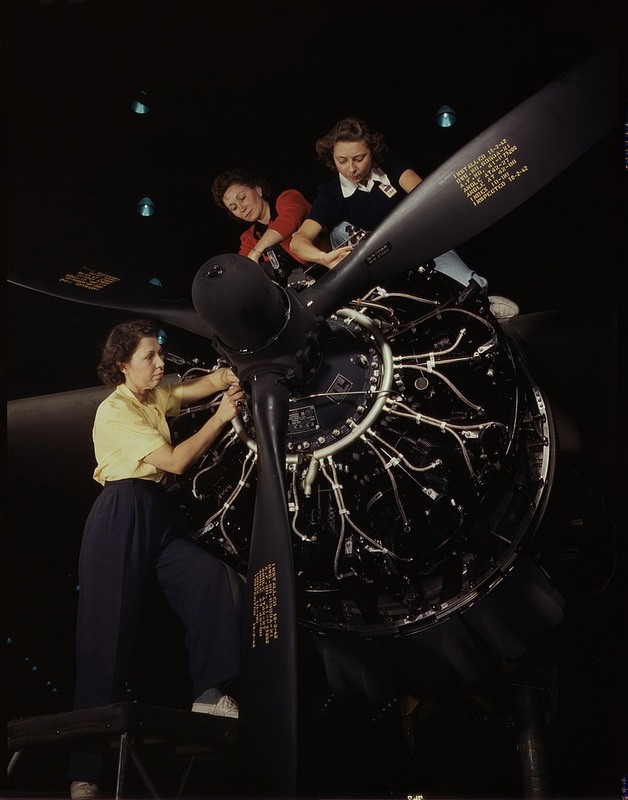 Women Installing Aircraft Engine. Douglas Aircraft, October, 1942. Long Beach, Califiornia. Photo by Alfred Palmer.